Honestly, you won't regret it. Building a style sheet is like holding hands ... but with yourself. It'll help you keep track of what’s going on in your novel – who’s who, what’s where, and when X, Y and Z happens. At the same time, you'll be able to record your preferences for the micro elements of your book ... things like spelling, punctuation, the rules about the way your fictional world works, and how you treat the various elements of the text (from paragraphs and headings to narrative, speech and thoughts). Want a template to help you get going? No problem – there’s one at the end of this article. It’s in Word so you can add, delete or tweak to your heart’s content. Ready-to-go downloadable handholding! To help you out, I've added some of my own recommendations (based on industry-recognized conventions) and offered choice where appropriate. What’s included in a style sheet? A style sheet really comes into its own if you're writing a series. Not only will you have a reminder of the places, people and events in the previous book(s), you'll also be able to prevent accidental inconsistency or repetition. 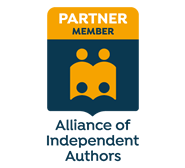 I've proofread series for both indie writers and mainstream publishers. The authors hadn't kept a written record of what had gone before, and different copyeditors had been used for each book. Copyeditors and proofreaders can spot these problems when they occur within a single book, but if they weren't hired for the previous novel(s), they'll be ignorant of inconsistency or repetition across the series. Your style sheet will enable them to flag up potential errors. In other words, a style sheet won’t just help you. It’ll help those who assist you, too. And the more we know about what you want, the better the service we can provide for you. Your decision is final at the end of the day. And while I and my colleagues can give you advice based on industry-recognized style manuals such as The Chicago Manual of Style or Oxford’s New Hart’s Rules, those resources are not the law (though they are excellent!). Rather, they’re reference points that help writers and editors bring clarity, consistency and readability to text; they’re usually based on preference and convention, not rules (despite the title of the Oxford guide mentioned above!). If you're not sure which particular element of style will suit your book best, talk to an editor. Copyeditors and proofreaders will be able to guide you on the micro elements of style. The thing to keep in mind is this: inconsistent styling will distract the reader and move them away from what they should be engaged with – your story. ​If you have any questions about issues of style, drop me a line in the comments. Even if I don’t know the answer off the top of my head, I’ll know where to find it and advise you accordingly.